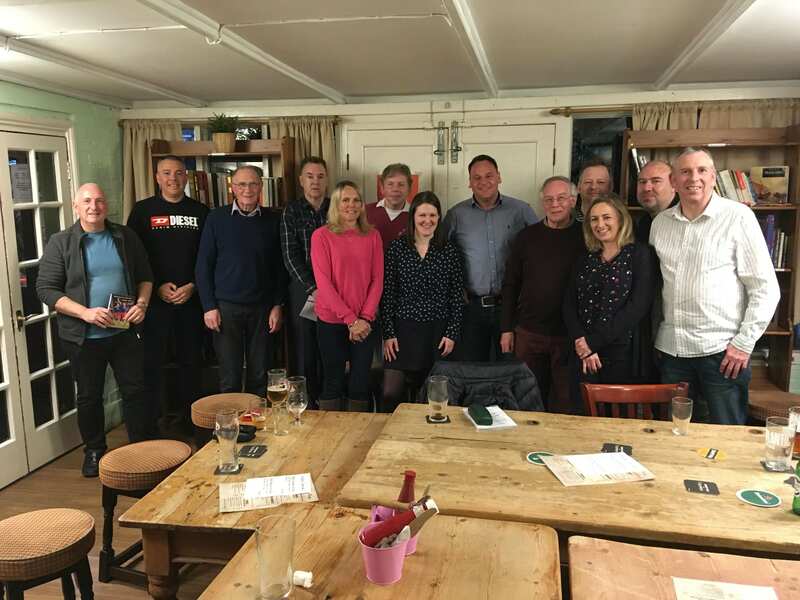 Paul Barnes was the guest speaker of York City South on 28 March 28th 2019. He gave an enlightening talk on career which he seemed to largely enjoy, coming across some interesting characters along the way. Whilst recalling his favourite City moments, he took a genuine interest in going around the room, asking each supporter about their City highlights. 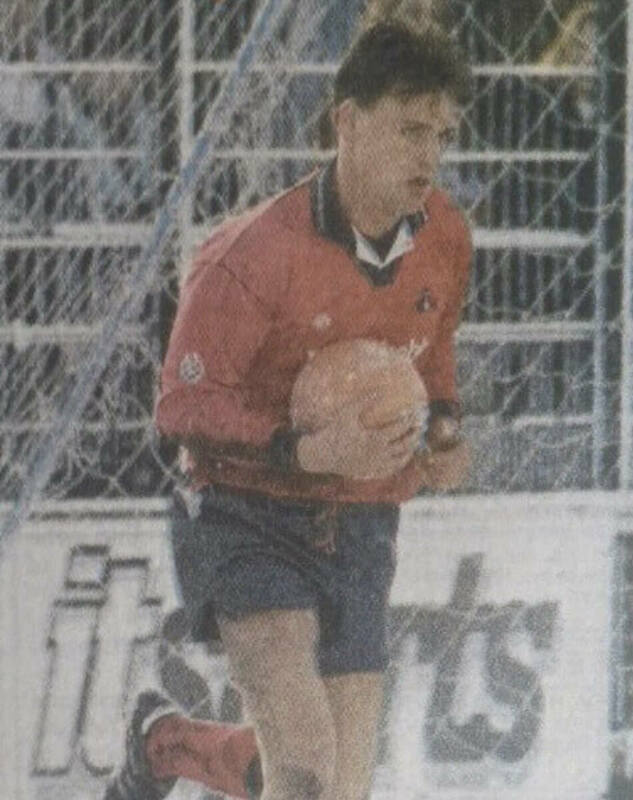 Paul Barnes played at higher levels than with York City, it was probably with City where he played some of his best football, being the first name of the team sheet for the whole of his time with City. Manager John Ward eventually got his man after a long pursuit, he wasn't to be disappointed. Barnes' first season ended with City's first ever win at Wembley. Some supporters would say it was the highlight of their City watching career, plenty more would say it came 2 years later at Old Trafford when 2 Barnes goals helped City beat Manchester United 3-0 in The League Cup. In total, Barnes scored 85 goals in 179 appearances for City. Paul’s football career started as a schoolboy under Jock Wallace at Leicester. Not enjoying the environment, he joined top division Notts County under Jimmy Sirrel (“fantastic football man”) when leaving school as an apprentice. He damaged his ACL when in Holland in an innocuous incident when running. In those days, it was often a career ending injury. Out for 16 months, he scored 5 goals on his return at Saltergate, Chesterfield’s old ground in an under 18 game. It was at the end of his contract that Barnes joined City. Barnes believed that Macari didn’t like his players to move on and to be successful elsewhere. Barnes spent nearly 4 seasons with City. Dropping to the basement division was a reality check with the likes of Steve Tutill and Nigel Pepper as teammates. Wembley and promotion in his first season, another play off season followed before victory over Manchester United in his final season. At Old Trafford, he noted how Douglas Craig didn’t come into the dressing room to congratulate the team after the game. A month later, after a 6-1 defeat at Peterborough, after the game, when the team were sitting on the bus waiting to return home, Craig walked down the bus ranting and raving, Barnes stood up and gave him the verbals, referencing Craig’s non appearance after the win at Old Trafford. It was later that season that Craig told Barnes that he couldn’t offer him a new contract, saying that it was bad business if he took a pound more out than he get in and that several clubs were interested. Barnes held Craig in high regard and took forward those words from Craig into his later business career holding no grudge against Craig. For the Wembley season, Barnes believed City had a “fantastic side, fantastic characters, and honest players” and believes both McMillan and Hall had the ability to play at a higher level (he mentioned that more than once), whilst along the way favourably compared Steve Tutill with Harry Maguire. The question he is most asked about Wembley is “Why did Steve Tutill hand ball”. He recalls the coach ride into Wembley, police outriders and going through red lights, whilst on a separate coach, the wives and girlfriends got £5 each from the club to spend on food at the service station. There was no post match celebration laid on, when he approached Keith Usher about it, he said,” it won’t happen again”. At Old Trafford, Barnes vividly recalled Wayne Hall doing a step over and leaving Ryan Giggs for dead and a pre match incident when checking to ensure the goal nets were properly fixed to the goal frames and joking with the groundsman, who he knew from his Leicester days, about scoring in the game. Later, when teammates at Birmingham, Steve Bruce admitted Barnes’ offside hat trick goal at Old Trafford wasn’t offside. Not surprisingly, he remembers more of the first leg, but at Bootham Crescent he remembers the imposing presence of Eric Cantona when the teams lined up in the tunnel before the game. Barnes scored his first City hat trick on a snowy day in February 1993, fearing throughout the game, that it would be called off and his hat trick wouldn’t count. It did and he met Jason McGill afterwards, McGill had promised a meal for City’s next hat trick scorer. The transition from Ward to Little was seamless, although he recalls “Big Al” regularly kicking big lumps out of players during training sessions. Barnes rates John Ward as the best manager he played for, a great coach and man manager, ”a fantastic man”. He also held Alan Little in high esteem and has a permanent memory of City in his kitchen, a large photo with Nigel Pepper, the pair celebrating their victory in one of City’s Friday training session’s shooting competition. He rates Jon McCarthy as his favourite player to play with, he’d tell Jon to cross the ball and he would, whilst also getting a good supply from TC on the other wing. Barnes’ other outstanding memory of City was Bryan Foster and his antics which included throwing a kettle at Chris Marples when he caught him walking across the pitch and dancing in Silks nightclub in his wellies. City accepted an offer from Birmingham, there was interest from Celtic and other clubs. The rest is history. Birmingham was an eye opener. Meeting Barry Fry (“a lovable character”) at the NEC, a deal was quickly agreed. Barnes asked about a medical, “don’t bother, you’re playing in the next game”, Fry told him as he walked away doing a jig and singing The Pointers Sisters’ hit “I’m So Excited” to himself. When he met his new colleagues for training the next day, there was no training kit for him, no balls and a squad of about 40 players. One game, when sub, Fry bought him on and when asking what position he should play, Fry told him, “Just go and score”. Within months Fry was replaced by Trevor Francis and with his new signings, Barnes found himself in the reserves and wanting first team football. Francis was happy to sell him, recouping the fee Birmingham had paid City. Joining Burnley was an easy decision, joining a management team of ex Stoke teammate Adrian Heath and John Ward. As record signing he took some stick for not scoring in his first 9 games. He scored 5 goals in the next game. Again a change of manager saw a change of fortunes. Chris Waddle and Glenn Roeder didn't understand the club and. Barnes moved on to Huddersfield. He was to live in the Burnley area for 6 years and still has many happy memories and good friends from his time in Burnley. Spells at Bury (the only club he didn't enjoy, being one of the senior pros taking stick from the supporters during a relegation campaign) and Doncaster saw the twilight of his professional career. At Doncaster, he combined playing with coaching the reserve side. One day, picking up a young loanee from Doncaster, Barnes asked him how he felt he'd cope, “No problem, I’m coming from a big club” only to be surprised about the standard and physicality of the game. It was at Doncaster that Barnes decided, that despite having his badges, management and coaching wasn’t for him, careers being dependent on the whims of chairman and managers and the frequent requirement to possibly travel far from home for the next role. Barnes played with Sam Collins at Huddersfield and current City youth coach Tim Ryan at Doncaster where he recalled in one dull game Ryan asking Barnes, “are you bored, watch this”, before Ryan crudely tackled an opponent, causing a bout of fisticuffs enlivening the game. Barnes attended (“a lovely night out”) a City 1990s team reunion organised by Andy and Jeanette McMillan in late 2018. It was attended by around 30 former teammates including Alan Little, Jon Greening, Richard Cresswell, Glenn Naylor, Rodney Rowe, Keith Usher and Guy Mowbray. Barnes gave the impression that although he often bumped into ex City teammates (when watching Leicester), he isn’t particularly close to the recent events at Bootham Crescent, although when staying in York in 2018, he took an early morning walk to Bootham Crescent to took some photos of the ground. On leaving clubs, Birmingham and Burnley included, he noted being told out of the blue his club had agreed a fee and to go and talk to the buying club. Paul proudly spoke about his son Harvey and how grounded he is, being particularly impressed with Harvey’s keenness to interact with supporters. Paul keeps him grounded by reminding him what is was like in his day, (such as long coach journeys on the day of the game and not flying everywhere as both WBA and Leicester do). After Leicester’s game at Wembley, Kieran Trippier told Jamie Vardy, “that young lad (Harvey Barnes) ripped me”. On the down side, Paul noted how many of Harvey’s youth side teammates were no longer playing football. Barnes believes the difference between a Premier League player and a lower league player is his speed of thought. Barnes spoke fondly about Leicester's Thai owners, their love of the game and how they’ve supported the club and the local area, making several large donations to local hospitals and other projects. Currently, the club is building a state of the art £80m training centre. Barnes believes Leicester, with their strong core of young English players, is poised to consolidate themselves amongst England’s top clubs with Brendan Rodgers creating a ”real buzz” around the club. Leicester's players all bodyguards whist many live in Cheshire and have drivers who drive them to training every day. Barnes didn’t have an agent, relying on the PFA who provided a very cheap and highly regarded service at the time. Barnes regularly watches Leicester, he went to Porto to watch Harvey's European debut. For the last 15 years, Barnes has run his own finance company, specialising in waste management and skip financing, regularly doing 6 and 7 figure deals. It was the first time Barnes had been asked to speak to a supporters group. After a long night out, Nigel “The Mechanic” Pepper went back to the ground and slept it off in his suit under a club bus, earning the nickname. Nigel “The Mad Irishman” Worthington whom he first met at Notts County and quite a character in his playing days. Recalls Jon Greening as a youngster always having a ball at his feet practising his skills.